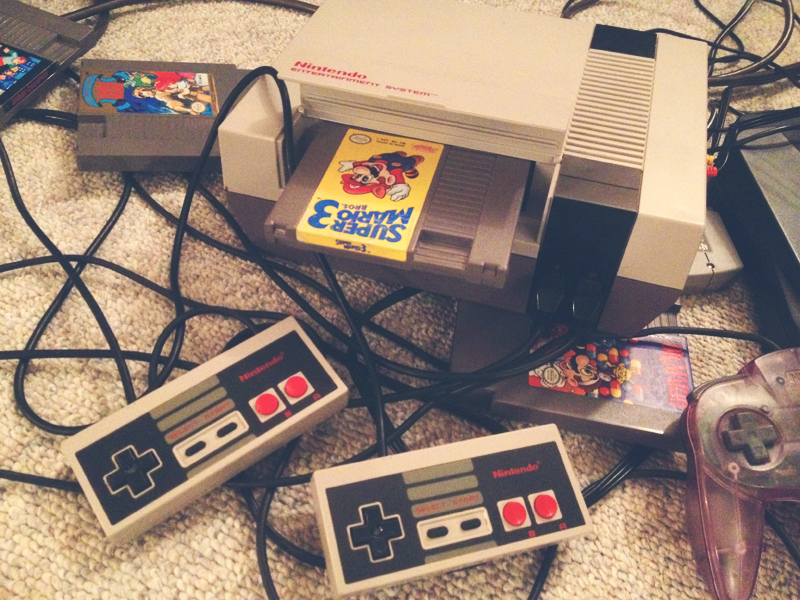 Recently, I dug my original Nintendo Entertainment System out of the closet because I wanted to experience the nostalgia of old games once again. Like all old NES systems, I was cursed with the infamous flashing blue screen. I Google the problem on the internet. I cleaned my games with alcohol and a Q tip. I took the system apart and attempted to repair the 72 prong connector. None of this worked, the blue screen still flashed. Then I decided to use the method that made the least sense. I hit it. I gave the system a smack and lo and behold, Mario 3’s curtains appeared on the screen. Sometimes what works is not always what can be easily explained. I think it’s an interesting life lesson to live by. The road we choose may not always be the most logical, but they may lead to something awesome. The answer to problems might require thinking outside of the box (or in this case hitting the box). However, giving up should never be the conclusion. Next Post My New GoPro and the Beginning of Vlogtober!